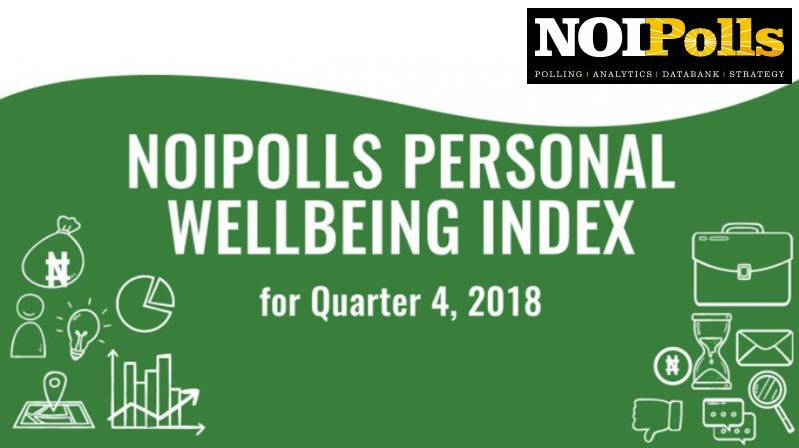 The NOIPolls Personal Well-Being Index (PWBI) report for Q4, 2018 revealed a decline of 1.4-points in the PWBI to stand at 61.5-points from 62.9-points obtained in Q3, 2018. The positive perception of the various aspects of one’s life, altogether, is determined by the Personal Well-Being Index. All of the seven factors that constitute the PWBI experienced a marginal decline except 2; the health index and the Economic situation index which experienced marginal increases. Remarkably, the highest decline was seen in the Achievement in life Index with a 5.5-point decline to stand at 48.8-points from the 54.3-points obtained in Q3, 2018. Further analysis revealed the Personal Security and Religion Index tie as the joint second highest to decline when compared to results obtained in Q3, 2018. The Personal Security Index declined by 1.8-point to stand at 57.9-points in Q4, 2018 from 59.7-points obtained in Q3, 2018. The reason for the further drop in the Personal Security Index could be attributed to the series of security breaches across the length and breadth of the country which require urgent and stringent steps to contain them. The Religion Index experienced a decline of 1.8 to stand at 88.4-points in Q4, 2018 from 90.2-points obtained in Q3, 2018. These are the key highlights from the Q4, 2018 Personal Well-Being Index survey. The Personal Standard of Living Index decreased by 1.7-point in Q4, 2018 from the 50.6-points obtained in Q3, 2018 to stand at 48.9-points and is indicative of a slight negative trend in the satisfaction of Nigerians with their Personal Standard of Living in Q4, 2018. This index increased marginally with 0.4-points to stand at 73.5-points in Q4, 2018 in comparison to 73.2-points obtained in Q3, 2018. This index recorded the highest decline of 5.5-point to stand at 48.8-points in Q4, 2018 when compared to 54.3 obtained in Q3 2018, indicating an increase in the level of dissatisfaction in the personal achievements of Nigerians. 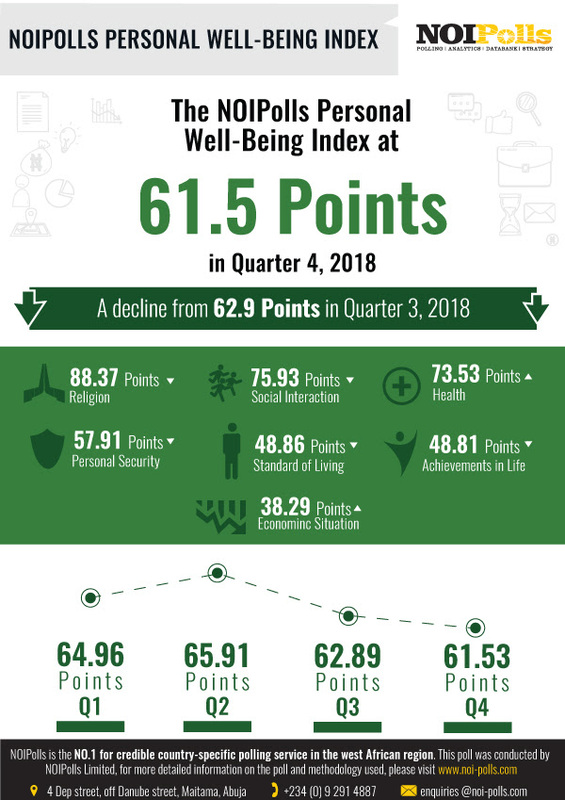 The personal security index decreased by 1.8-points in Q4, 2018 to stand at 57.9-points from the 59.7 points obtained in Q3, 2018 representing the joint second highest decline in the indices. This index experienced a decrease of 0.7-point to stand at 75.9-points in Q4, 2018 compared to 76.6-points obtained in Q3, 2018. Despite the decline, this result depicts that Nigerians still have a high level of social interactions amongst themselves. This is even most compelling in a multi-ethnic and multi-cultural society like Nigeria. The Personal Religion Index has always been the highest index amongst the indices, which is suggestive of how religious the citizens are. The Personal Religion Index decreased marginally by 1.8-points to stand at 88.4-points in Q4, 2018 which is the joint second highest decline in the indices from the 90.2-points obtained in Q3, 2018. The Economic Index witnessed a marginal increase of 1.0-point to stand at 38.3-points in Q4, 2018 from 37.1-points of Q3, 2018. This index has consistently been the lowest ranked index over the years implying that much is still needed to reinvigorate the economy of the nation. 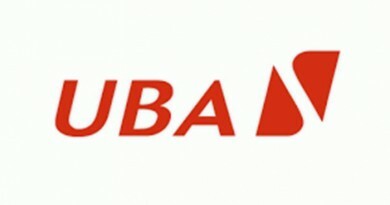 A study of the trend analysis of the results obtained from the Q4, 2018 PWBI showed that 2 out of all the seven key indicators that constitute the PWBI increased while the remaining 5 indices experienced a decline. Furthermore, the quarter-on-quarter analysis showed that the NOIPolls PWBI experienced a decline of 1.4-point to stand at 61.5-points in Q4, 2018 compared to 62.9-points of Q4, 2018. 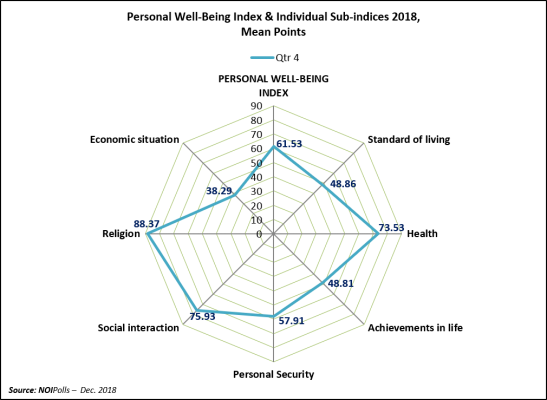 Finally, results obtained from the NOIPolls PWBI for Q4, 2018 revealed that there was a marginal decrease of 1.4-points in the Personal Wellbeing of Nigerians but majority remain unsatisfied with their Economic Situation, as the index stood at 38.3-points and still remained the lowest ranked index amongst the seven factors that make up the NOIPolls PWBI. The Economic Index which decreased marginally has consistently been ranked below average by Nigerians while the Religion and Social Indices witnessed a decrease of 1.8-points and 0.7-point respectively. Wellbeing may best be thought of as a self-motivated process, evolving from the way in which people interrelate with the world around them. Previous studies suggest that there is a very high tendency for people to become successful in life, build a strong bond or cohesive relationships and contribute to a stronger community when they are happier, leading to a healthier society (economy). 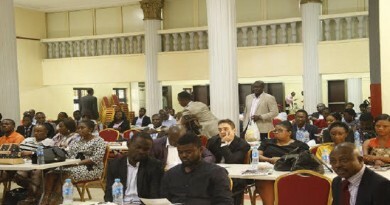 Also, decreased indices of the personal wellbeing (Personal Standard of Living, Personal Health, Personal Security, Personal Social Interaction, Personal Religion and Economic Situation) can have a range of benefits for the communities in which we live if we create the enabling environment for an average Nigerian to work and earn a living, thereby, strengthening our economy. Hence, there should be concerted efforts to bring wellbeing into policy-making in Nigeria. The Ministries, Departments and Agencies that form the Nigerian government should be required to provide reports on how their policies will improve wellbeing, as one of the key aims of government is to promote a good life: a life which has meaning and in which people feel happy.